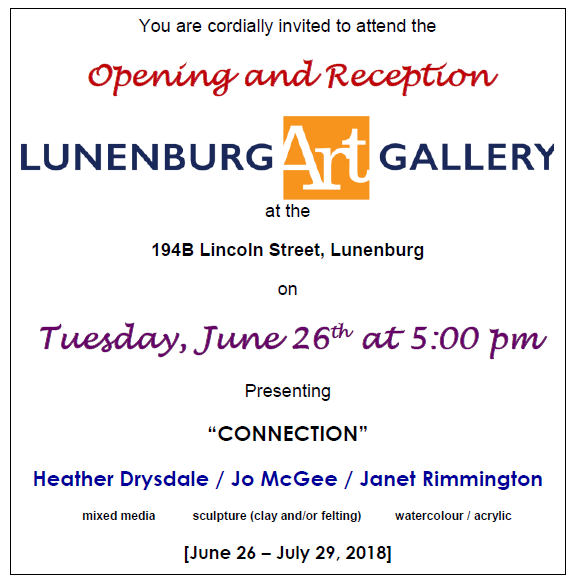 The Lunenburg Art Gallery will be hosting “CONNECTIONS”. An eclectic collaboration of artwork by three talented artists. On display will be the mixed media pieces of Heather Drysdale, clay and/or felting sculptures by Jo McGee and the acrylic and/or watercolour paintings by Janet Rimmington. 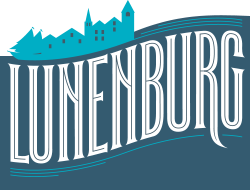 Their Opening Reception will take place on Tuesday, June 26th at 5:00 pm. Refreshments will be served and all are welcome to attend. This exhibition will be on display from June 26th – July 29th.